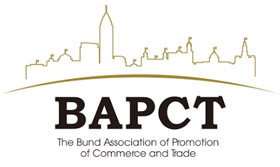 In February 2016, the Madison Avenue BID entered a partnership agreement with the Bund Association for Promotion of Commerce and Trade. 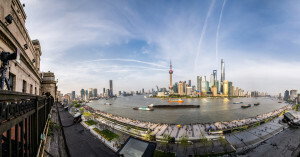 A mile-long waterfront area in Central Shanghai, the Bund is home to fascinating architecture from Shanghai’s colonial history at the turn of the 20th century. Along the Bund’s Zhongshan Road, 52 buildings with various Western classical and modern influences – including Art Deco, Gothic, Baroque, Neo-Classical, and other historic styles of architecture – sit regally and make for an ideal place to stroll. The Bund faces the Pudong District across the Huangpo River, so the panoramic views of the water and the thriving modern metropolis across the way are excellent from here as well. The Bund Sightseeing Tunnel, a pedestrian-only tunnel of lights and colors, will get you across the river and provide a fun light show along the way. Today, the Bund is a major shopping, dining and cultural destination, and features many of the world’s leading fashion brands and finest hotels. For more information and to help plan your trip, visit the Bund Association’s website, Shanghai Tourism Administration’s website (www.meet-in-shanghai.net) or the China National Tourist Office’s website (www.cnto.org).